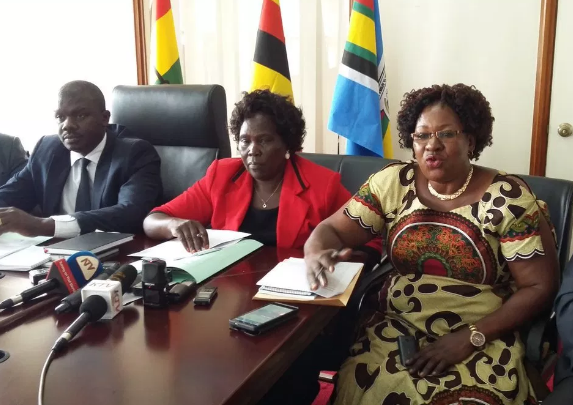 KAMPALA– The Leader of the opposition in Parliament, Hon Betty Aol Ocan, will embark on a countrywide tour aimed at uniting the opposition in and outside Parliament. MP Aol Ocan who was appointed two months ago says she had planned to carry out the tour but was disrupted by circumstances that surrounded the Arua municipality by-election. The LOP revealed this after she paid a courtesy visit to the Democratic Party (DP) President, Mr Nobert Mao. Mao added that they would support the LOP’s programme of nationwide engagement with Opposition political leaders and urged Aol Ocan to move fast. On whether the opposition is ready for a sole candidate in 2021, Aol Ocan said it is an immature discussion within the opposition. “I am for unity in diversity. If fronting one candidate is desirable, then there is possibility for such a discussion,” she said.